Whether functional or decorative, small or large, clay was the material of choice for many artifacts. But what can pottery found at archaeological sites tell us? On this tour, explore examples of a variety of artifacts created by different methods (hand-built, wheel-made, mold-made) and decorated in different ways. 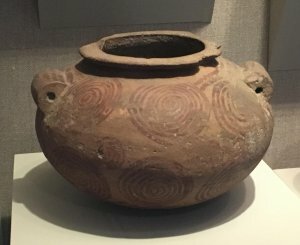 Today, new technology can even tell us where the clays for each artifact were sourced and the significance of this choice. Artifact highlights include large Roman amphoras, finely molded figurines, well-used cooking pots, and fine dishware.